The ECB has confirmed today that Italian-born banking regulator Andrea Enria has been chosen in a vote of Governing Council members to become the next chair of its banking supervisory arm. Here's a closer look at what exactly the ECB's banking supervisory arm does - and where critics say it falls short. Known as the Single Supervisory Mechanism (SSM), the regulator was created in 2014 to avoid a repeat of the global financial crisis, and the eurozone debt crisis that brought the euro to the brink of collapse. The watchdog directly oversees 118 of the largest banks in the 19-nation single currency club, accounting for nearly 82% of banking assets in the area. Before the SSM, each member state was responsible for monitoring their banks, with mixed success. The SSM is one of the three pillars of Europe's long-mooted "banking union", next to a single rulebook for eurozone banks and a Single Resolution Mechanism (SRM) in charge of winding up failing banks. 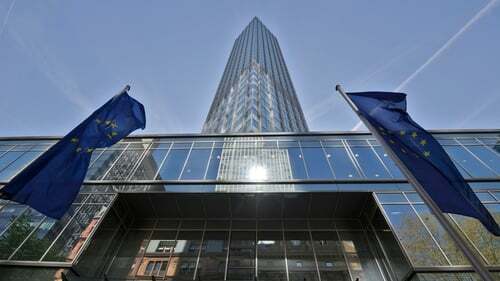 While falling under the auspices of the ECB, the SSM operates independently - its staff are even housed in a different Frankfurt building. The SSM can order fragile banks to recapitalise themselves and can veto the appointment of managers not considered suitably qualified. It conducts regular "stress tests" along with the European Banking Authority to determine whether banks have enough of a capital cushion to weather financial shocks. The outcome of the latest tests was released last week and showed that banks were "more resilient" than at the previous health check two years ago. German and British bank fared worst in this year's simulation, which took into account possible disruption to trade and financial transactions because of Brexit. The results flow into a regular review of SSM banks. If a bank's capital buffer is deemed insufficient, the supervisor can restrict bonus and dividend payouts. The SSM has made strides in shrinking the pile of bad loans amassed by eurozone banks in the past, where borrowers have fallen behind on repayments. Under Ms Nouy's watch, the amount of non-performing loans has fallen from around a trillion euro to €650 by mid-2018. During her five-year term several banks have been declared "failing or likely to fail", a move that triggers emergency measures designed to avoid taxpayers picking up the bill for a bailout. To avert the collapse of Spain's Banco Popular for example, regulators arranged for it to be bought by Santander for €1 in 2017. But not all banks are deemed worth saving. Italy's Popolare di Vicenza and Veneto Banca were both placed into liquidation last year. Ms Nouy was forced to defend the SSM after a money-laundering and bribery scandal hit Latvian lender ABLV, saying her department did not have the power to investigate and stamp out criminal activity. The ECB can only take action once it has been notified of such breaches by national authorities, she said. Critics, notably in Germany, have also accused the watchdog of still not being tough enough in tackling banks' stock of soured loans. But efforts by the SSM to introduce new rules that would force lenders to set aside more cash to cover unpaid loans were fiercely resisted by southern countries like Italy whose banks remain saddled with crisis-era bad debt. The opposition prompted the SSM to soften its stance.